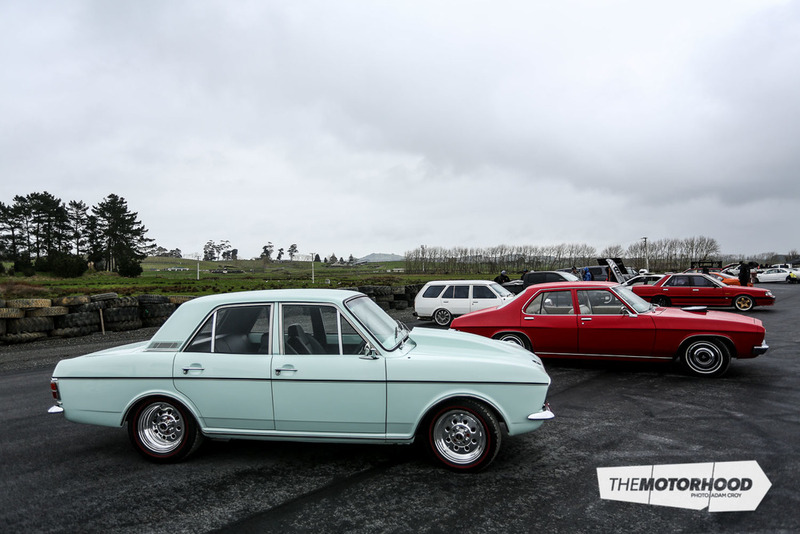 While the Mothers Chrome Expression Session 2016 was the perfect event for Kiwi car enthusiasts of all persuasions to do all the things we’re not allowed to do on the street, some take things to a whole new level. This can be seen in the list of award winners — the ones judged to be the best at Chrome’s various disciplines. The drag racing at the event, operating on a pretty casual drop-flag format, was hotly contested by those who were in with a shot. However, with the huge number of participants, the overall winners wouldn’t exactly be easy to pick. 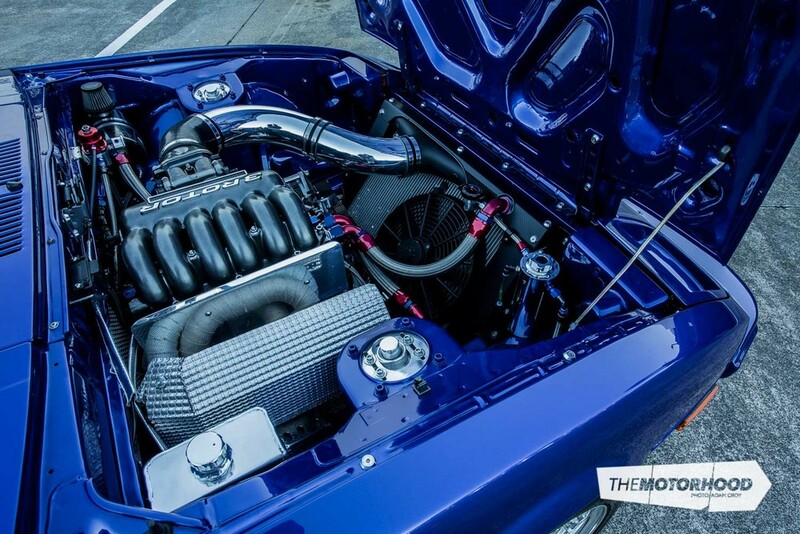 Despite some of the gnarly machinery in contention, the overall winner was Justin Weir in his ‘NITRO’ 2JZ-powered Supra. Closely trailing Justin’s tough JZA80 on the leader board were Allan Cho’s tough R32 GT-R and the wild all-rounder R35 GT-R of Iain Clegg. While the drag racing podium was, perhaps surprisingly, an entirely V8-free affair, the burnouts would give some kudos back to those with cubes on their side. The overall winner of the Best Burnout award went to Josh Fabish, who definitely deserved it. His 6-71 blown and injected 20B-powered Mazda 929 wagon not only had a show-quality finish with a unique sound and character, but it ripped a hefty skid too — just check out the video! The Crowd Favourite winner was one we didn’t see coming, although if you’ve seen the way Allan Norris drives his cars, you may disagree. Even so, there’s something about the little Cortina Mk2 that is so unassuming, despite the small block Chev pumping well over 300hp to the treads. And the Runner-Up Best Burnout award went to one of the most highly anticipated skids of the event. 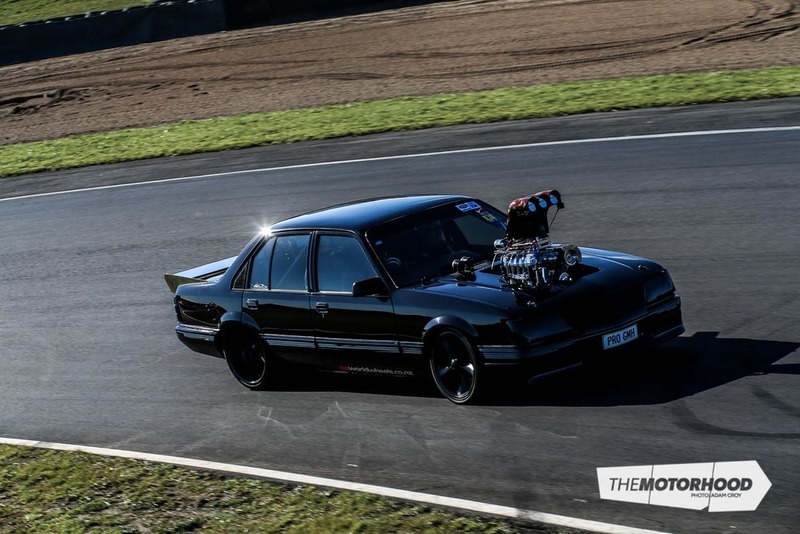 Rob Mcraee had his blown meth-drinking Holden HQ out to play, and this thing is on track to becoming one of the country’s toughest burnout cars. Despite his burnout being cut short by a methanol fire in the puke tank, the wild skid was something to see while it lasted. On the more sedate end of the spectrum, in which the tyres were far less stressed, the show and shine attracted a number of well-presented cars who wanted the Chrome experience without the stresses of hitting the track. Of these cars, the recipient of the coveted Grand Show Champion award went to Adam Browne’s attention-seeking ‘PROGMH’ Holden Commodore VH. The whole murdered-out thing isn’t something you see too often these days, although Adam’s Commy wears black-on-black-on-black better than Darth Vader at night. The Grand Show Runner-Up prize went to Podge Reid’s impressive SA22 RX-7 — a car we felt had a fair crack at actually taking the top honours. Even so, it’s great seeing his unbelievably smooth machine — one of the best-built cars in New Zealand — getting the recognition it so rightly deserves. 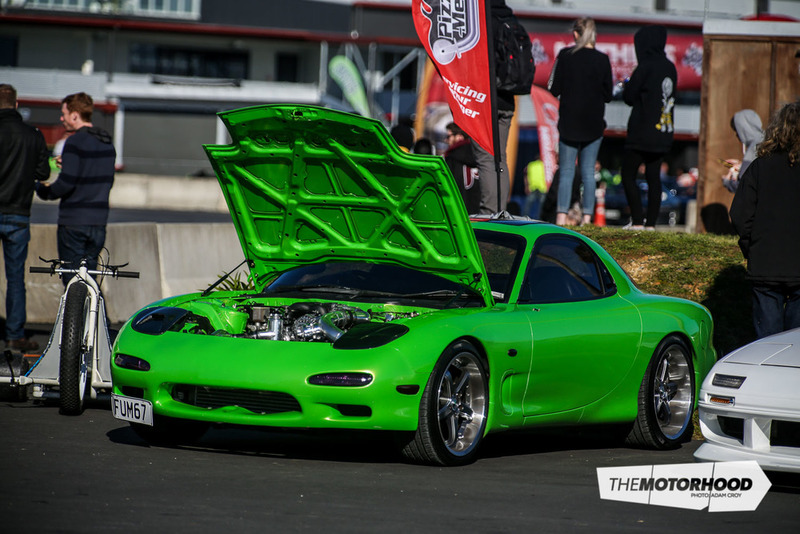 Podge’s RX-7 was complemented by even more RX-7s — Scott WIlson’s bright-green FD, and the beautifully resto-modded and 20B-powered SA22 driven by Mike Fitzgerald. While we’re on the subject of it, keep your eyes peeled for a full feature on Mike’s RX-7 in an upcoming issue of NZ Performance Car. Of course, while these guys got their share of the limelight as far as the actual awards went, the joy of the Mothers Chrome Expression Session is also in the huge number of cars that give everyone a run for their money — none of these trophies would have been easily awarded, and to see the calibre of the vehicles in attendance, just check out our event report and photo gallery here. That said, we could potentially argue a case for an overall ‘King of Chrome’ type award, to incentivize the top-tier cars to participate in as many of the events that Chrome has to offer. But you could just as easily argue for the opposite — that Chrome is an event to have fun at, and awards shouldn’t be the reason people go. Whatever you think, it’s clear that the event has found its groove, and as long as people see it as an event for all car lovers to enjoy, we reckon it’s only going to get better.